Carlo Meghini is prime researcher at ISTI-CNR in the area of Conceptual Modelling, Digital Libraries and Digital Preservation. He graduated in Computer Science at the University of Pisa in 1979 with a thesis on distributed databases. He has participated in several EC funded research actions in the areas of information systems, digital libraries and digital preservation. 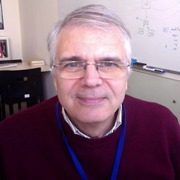 He is involved in European projects since 1988, in the areas of Digital Libraries (DELOS Network of Excellence, BRICKS, EDLNet, Europeana, ASSETS) and Digital Preservation (CASPAR). From 2007 he is involved in the making of the Europeana digital library, taking care of the scientific aspects of the project. He has published about 100 scientific papers in international journals, books and conferences. Valentina Bartalesi received her PhD in Information Engineering at the University of Pisa. She has a master degree in Digital Humanities, University of Pisa. 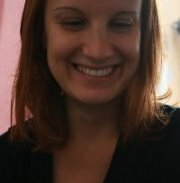 She worked seven years at CELCT, the Italian Center for the Evaluation of Language and Communication Technologies. Since 2011, she is research fellow at the Institute of Science and Technologies of CNR in Pisa and currently works in the Networked Multimedia Information Systems laboratory. Her research interests are mainly related to the Semantic Web technologies, the development of formal ontologies to represent textual content to be accessed through Web applications. She is co-author of 28 research papers at national and international conferences and journals. 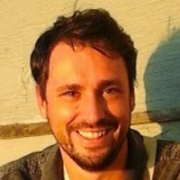 Daniele Metilli is a research collaborator at the NeMIS laboratory of ISTI-CNR, working on the representation of narratives through Semantic Web technologies. He holds a master's degree in Digital Humanities from the University of Pisa and a bachelor's degree in Computer Engineering from the Polytechnic University of Milan. His current research interests revolve around the Semantic Web, Digital Libraries, and online collaborative projects. He is an administrator of the English Wikipedia and of the Wikidata knowledge base. Previously, he has been the first Wikipedian in residence at an Italian museum. 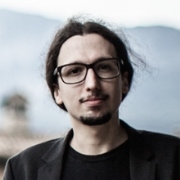 Filippo Benedetti is a PhD student in Information Engineering at the University of Pisa. He obtained a Master degree in Computer Science at the University of Pisa. Since 2015 he is research collaborator at ISTI-CNR, in the Networked Multimedia Information Systems laboratory. His research interests are related to the Semantic Web in the field of Digital Libraries. He is currently investigating the Ontology Reasoning services.